Mint green is such an adorable color and pops with the red cherries added in. 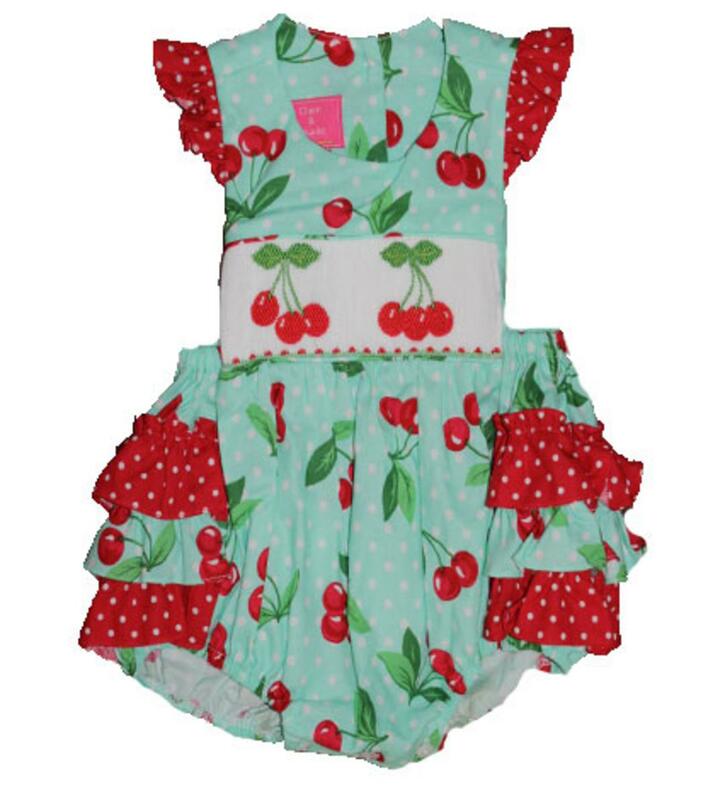 The mint green and white polka dot bubble has cherries all around the fabric and cherries smocked on the chest. There is red and white angel wings on the shoulders and the same on the ruffles on the tooshie. There is buttons down the back to get on/off and buttons on the inside of the legs to accomodate diaper changes. This adorable outfit is 100% cotton.